How to find the right size for Your dog? Find your dog's breed below to buy the correct size, double-checking the height for proper fit. 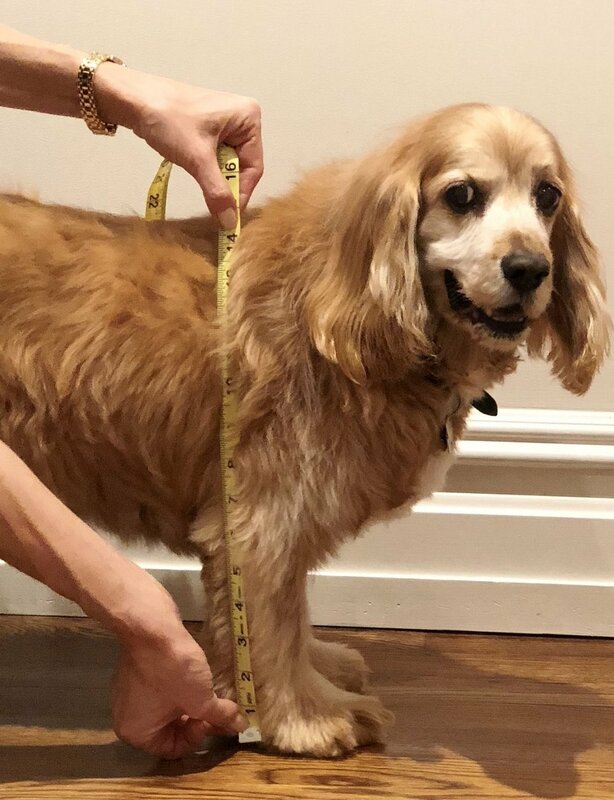 Height measurement is taken with your dog standing on a flat surface. Measure from the front paw (level with the ground) straight up and mark the tape at the level that is the top of their back (excluding fur). If your dog is larger than its average breed, you may need one size up. If your dog is smaller than its average breed, you may need one size down. If your breed is not listed, go by the height of your dog for sizing.